Thrash saviours in the year 2002! 1) Seems to me you like old thrash and Swedish death metal at the same level...Is it so? What are the music styles you usually listen to? 2) Why did you choose Chris Silver, a relatively popular producer? Do you wanna introduce him to the big public? Why we chose Studio Mega and Chris Silver was because we think it's a great studio. We have recorded there 3 times now. Chris Silver is a great producer I think, and a great friend as well. I have also worked at Studio Mega as a producer a couple of times, helping Chris while he was away on holiday or other things. For example I recorded and produced a Norwegian band called Griffin. So, since I know how the studio works, it was very effective for us to record there. And I am sure our next album will be recorded there as well. 3) What were the main difficulties during the songwriting of "The Killer"? There were no real difficulties with the songwriting, I had a quite clear vision at that time. The only difficult thing was when our former drummer Ulf quit the band five weeks before we were supposed to record the album. So we asked Mikael (our current drummer) if he wanted to join the band, and as you know he said yes. So the hard part was to learn Mikael all the 11 new songs in just five weeks. 4) Can we consider it a concept album? 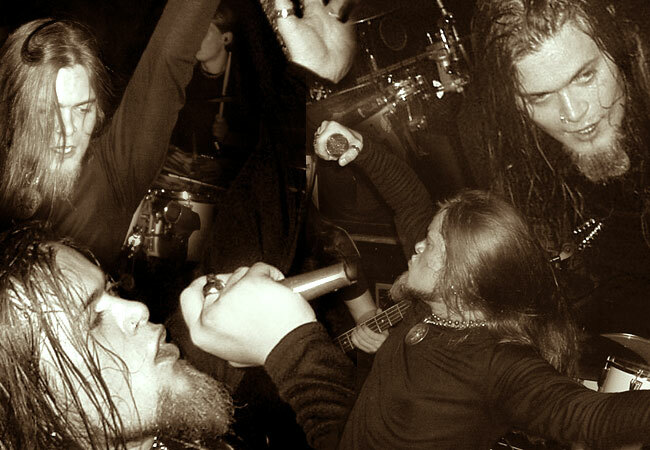 5) Why did Ulf Johansson really leave the band? He went to an audition for a TV program called "Wannabe". It's like the program "Popstars" where they put together a pop band and show it on TV, just that "Wannabe" was about rock and not pop. Anyway, he got the part and after that we could see him on national TV every week. Sweet. 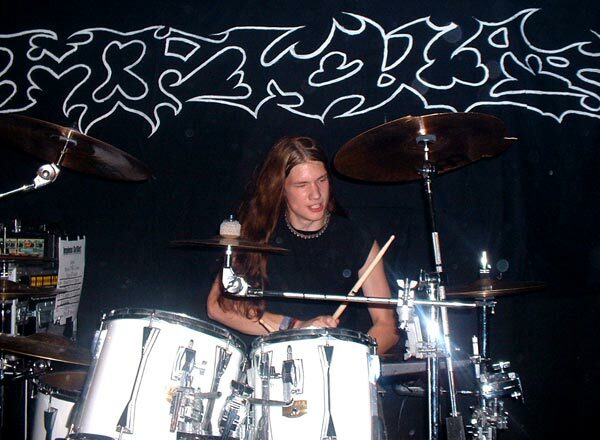 6) What are the differences between him and new drummer Mikael Noren? Mikael is a better drummer! And he's also more into the music. He's perfect for the band. 7) During the 8 years of Impious's career, how's the way of composing songs changed? Is there a balance now more than in the past between the weight of each member? On the album there are 11 songs and I wrote 10 of them. The process begins with that I come up with riffs and ideas, then I record them in my own studio with a drum-machine. We usually don't rehearse at all if there is nothing special going on (recording, live gig, etc). So, during such "off periods" it is most creative because I can really concentrate on the songwriting. Anyway, when I have enough riffs/ideas to put a song together I record the entire song. Usually I am working on several songs at the same time. Because sometimes I get stuck when writing a song, then I just leave it and work with another song. When I have recorded 3-5 new songs I burn them on a CD and give it to everyone in the band. They'll listen to it for a week or so, and after that we'll start rehearsing on the songs. This way the rehearsals become much more effective because the rest of the band already know how the song goes! And while we rehearse we are trying out different ideas that everyone has. Sometimes we change much stuff, sometimes we don't change anything from the original version. The lyrics I always write last, because this is so boring. But it hasn't always been like this. In the early days me and Martin wrote 50% each. I guess the guys let me write the most part now because they trust me in some way. 8) Which are the best thrash bands you've listened to in the new millennium? Testament (First Strike Still Deadly) and Slayer (Live at the Roskilde Festival with Dave Lombardo on drums). Well, a couple of years ago we played a few gigs in Holland and Belgium. We had a day off in Amsterdam, so use your imagination... hehe! 10) Are you one of those bands able to write songs on tour too? Or d'you need a special environment, inspiration, situation, influence or whatsoever? Almost all songs are written in my studio. There I can record and try out all kinds of ideas. But I can come up with riffs/ideas in my head no matter where I am... in the bathroom, bedroom, at work, in a car, it doesn't matter. 11) What (thrash) bands would you like to tour with? 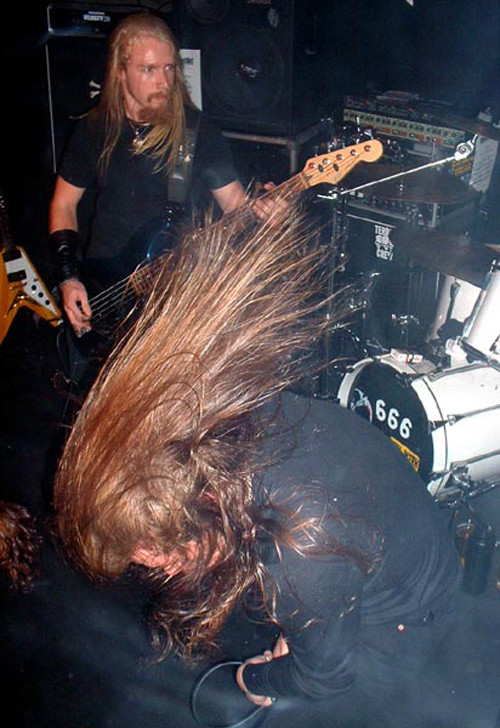 12) Is there a growing thrash scene in Sweden after the decline of the death metal one? I think that the death metal scene is still quite big in Sweden. I would say the two styles have the same status. But I don't know, this changes all the time. 13) I think "Dead Eyes Open" is suitable for a videoclip. D'you agree? 14) Talking about tours, I'd really like to see a cool tour with you, Darkane and Divine Decay. What're your plans as to a European tour, and finally, will you touch Italy? Darkane are cool, but I have never heard Divine Decay. Yeah, we'll go on tour in January together with Necrophobic and Satariel. We'll play in Florence on the 11th I think. BE THERE AND HAVE A BEER WITH US!!! 15) Is there anything you'd like to modify or better in your previous albums? 16) Will the 3 demos be repressed on a sole CD soon, or shall we have to wait like 10 years, the day Impious will split up...? Nope, they will never be re-released. a) Europe; -Great! b) USA and Canada; -Don't think it's released there yet c) Japan; -It won't be released there. 18) Do you still have time to answer all the inties? Is there any of you who answers'em all? I am answering almost all interviews. Sometimes it gets boring. This interview has good questions, so it's fun. 19) Besides Impious, what are your jobs and hobbies? Any side-projects? I work at Volvo Aero Corporation. And no, we don't do cars here, we work with airplane engines. I'm kind of responsible for the quality, it's much paper and computer work. My hobby is music, studio engineering, and movies. Martin works at SAAB, where he makes cars. He likes to play videogames. Robin is an electrician, and his hobby is also music and videogames. Erik and Mikael are studying, their hobbies are music and just hanging around... hehe. As it comes to side-projects, I'm in a project called Red Skies Dawning. Martin plays guitar in a cover band called Pornstar 69. Robin plays guitar and sings in a band called Hit 'n' Run, and he's also singing in an Iron Maiden cover band. 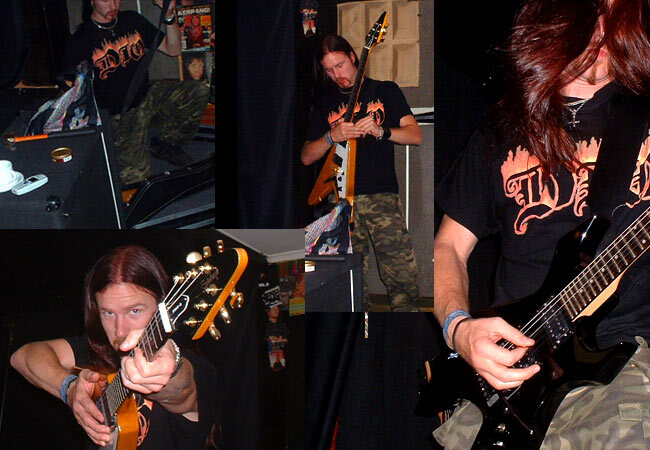 Mikael and Erik play in a death/thrash band called Enthralled. 20) Well, that's all for now. You can close this killer intie taking all the place you wish for a final message/threat/announcement/greeting. Okay, thanx to you buddy for a great interview and the support! Everybody should check out our album "The Killer"! And if you like it, buy the fucker!! Also keep the beer cold for us in January when we come on tour!! CHEERS!! Robin Sörqvist, rhythm and lead g.